Montreal is known as " Canada's Cultural Capital" and is a fascinating mix of urban thrills and natural wonders, neatly contained in one pristine island setting. An island in the St. Lawrence River, Montreal is North America's largest French speaking city. 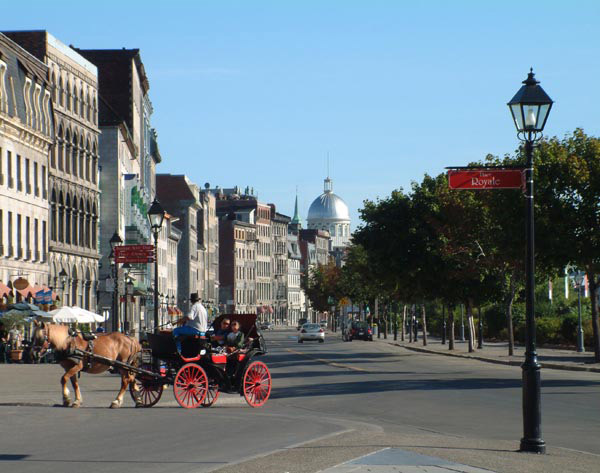 Old Montreal history comes alive as cobblestones and carriages mingle with boutique hotels and gourmet restaurants. 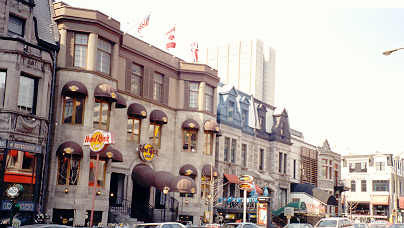 Montreal is the perfect blend of old and new. Which means that there's something for all types of student groups, from the adventure-seeker to the cultural purist. The Olympic Stadium stands as a glorious reminder of the 1976 summer games. The top of the stadium tower is still the best place in town for full-blown city vistas. The Botanical Garden is a showcase for plants local and exotic. The Biodôme is home to four of the world's ecosystems, and the Insectarium, a fascinating shrine to bugs. 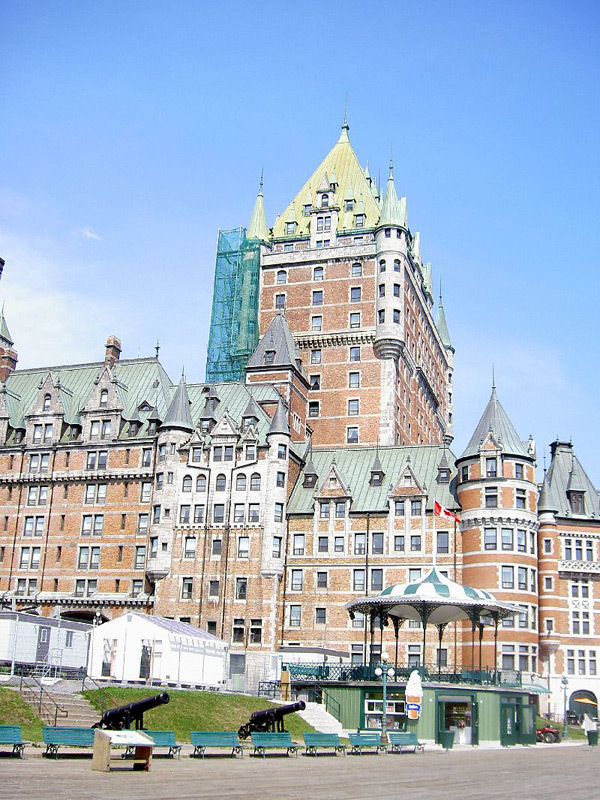 The Quebec City area is the perfect destination for an authentic cultural experience for students. Quebec City is located at a commanding position on cliffs overlooking the St. Lawrence Seaway, Quebec City's Old Town is an UNESCO World Heritage Site and the only city in North America outside Mexico with its original city walls. Dinner included at a traditional Maple Sugar Shack. Walking tour of Old Montreal and tour at Notre Dame Basilica. Musee d'Archeologie et d'histoire de Montreal, where you will descend into century old ruins, dating back to the early days of the French colony. Montreal Biodome - an environmental museum like no other in the world, leading you through four of the worlds most beautiful ecosystems. You will see over 4000 animals from 200 species including puffins, penguins, parrots, alligators, beavers, bats, otters, monkeys and many others. Tour OLYMPIC PARK Tower - take the 556 foot funicular for an impressive view of the city, the St. Lawrence Seaway and the surrounding countryside. IMAX Film: be taken an amazing journey on a screen that's over 70 stories high. 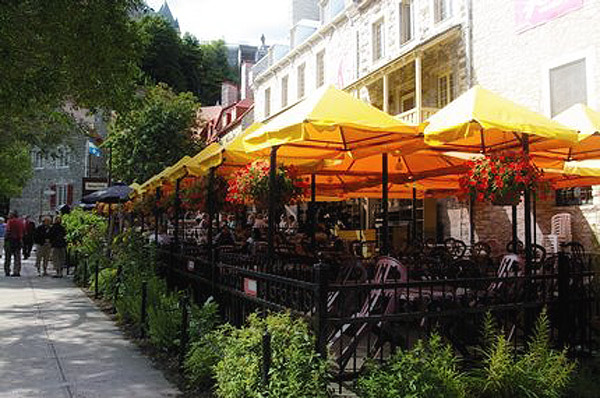 Chateau Frontenac and walk to the Quartier Petit Champlain and have lunch on your own in the oldest part of the city. Tour La Citadelle. 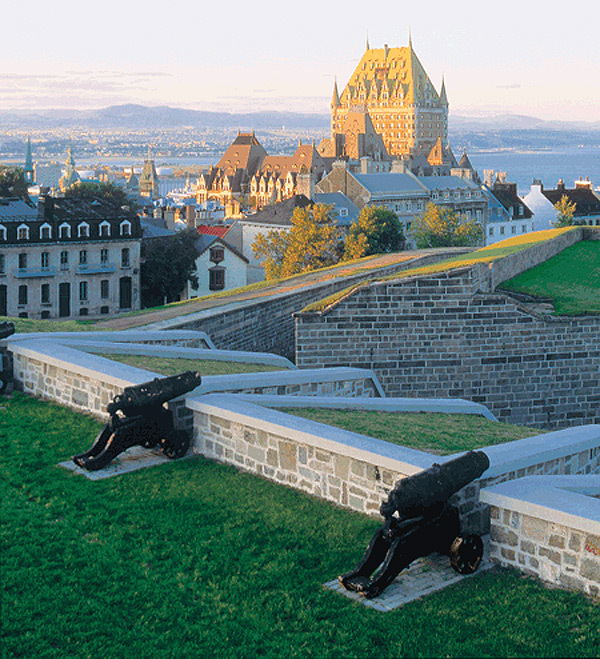 This national historical site, also known as the Gibraltar of America, is the best place to begin a trip into the military past and present of Québec City. A one-hour guided tour about the American attacks, the construction of the fortress and its buildings. Tour Plains of Abraham - visit the multimedia show in the Interpretation Centre, be overwhelmed by the beauty of this important historical site. 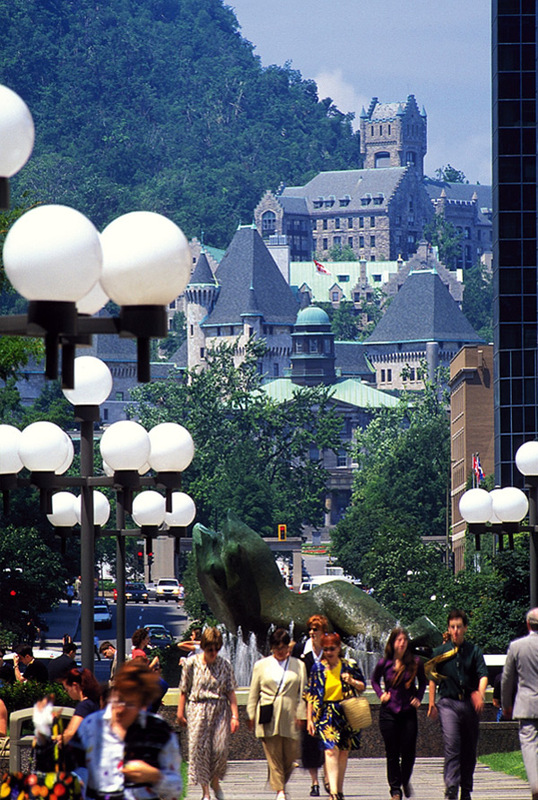 Tour the Museum of Civilization, a popular thematic museum focusing on participation and interaction featuring exhibits that share the culture of the eleven nations who inhabit Quebec. Tour the Shrine of Saint Anne de Beaupre, featuring medieval styling, with an interior illuminated by 240 stained glass windows. Dinner included with a ride through the rolling hills of the Quebec countryside to an authentic Quebec Cabane de Sucre.